'Finding Dory Birthday' 18" Foil Balloon sold flat. Packaged. Self-Sealing Valve. Requires Helium Gas. 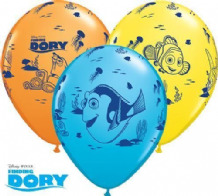 15" Finding Dory Cubez Balloon sold flat. 'Finding Dory' 18" Foil Balloon sold flat. Packaged. Self-Sealing Valve. Requires Helium Gas. 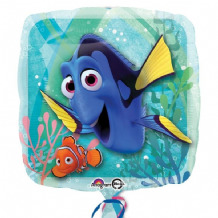 Finding Dory Large Foil Balloon. Sold individually flat (packaged). Large Finding Dory Helium Balloon requires Helium Gas. 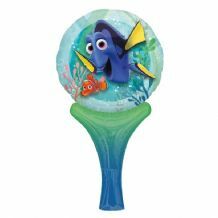 Finding Dory Party Bags and other Finding Dory Party Supplies at wholesale prices with free delivery available. Finding Dory Party Cups and other Finding Dory Party Supplies at wholesale prices with free delivery available. Finding Dory Party Napkins and other Finding Dory Party Supplies at wholesale prices with free delivery available. Finding Dory Party Plates and other Finding Dory Party Supplies at wholesale prices with free delivery available. Finding Dory Plastic Party Tablecover and other Finding Dory Party Supplies at wholesale prices with free delivery available.